For a long time I avoided making this glaze because it just seemed like it would be too difficult (I can be lazy like that). I was wrong. And it’s now a Friendship Bread Kitchen favorite. This warm, buttery caramel glaze will trick you into thinking you’re being served up a primo dessert in the best restaurant in town. Drizzle it over any apple Amish Friendship Bread, like our Caramel Apple Amish Friendship Bread, or spice it up with Kitchen Friend Donna Bennet Bania’s Cardamom Amish Friendship Bread. Whisk sugar, cream, and butter in a medium saucepan over medium heat. Bring to a boil, stirring until the sugar is completely dissolved. Remove from heat. Stir in vanilla. Let it cool slightly before drizzling over warm cake. This glaze can easily soak your bread, so place it on a cooling rack rather than a plate before drizzling. Use a paper towel or sheet of aluminum foil to catch any drips. Love all the info on this website! It is very helpful. I just had one question, does this need to be refrigerated? I wanted to give the bread as a gift and wanted to also give a side of caramel glaze with it already made. How do I tell which glazes need to be keep cool. It would make an awesome gift if I could add the glazes with the breads. Thanks so much and keep new recipes coming. Sugar is a preservative so it extends the life of your glaze, and it appears that you can keep it up to two or three weeks (depending, too, on how fresh your better is). You can chill most glazes in a sealed container. 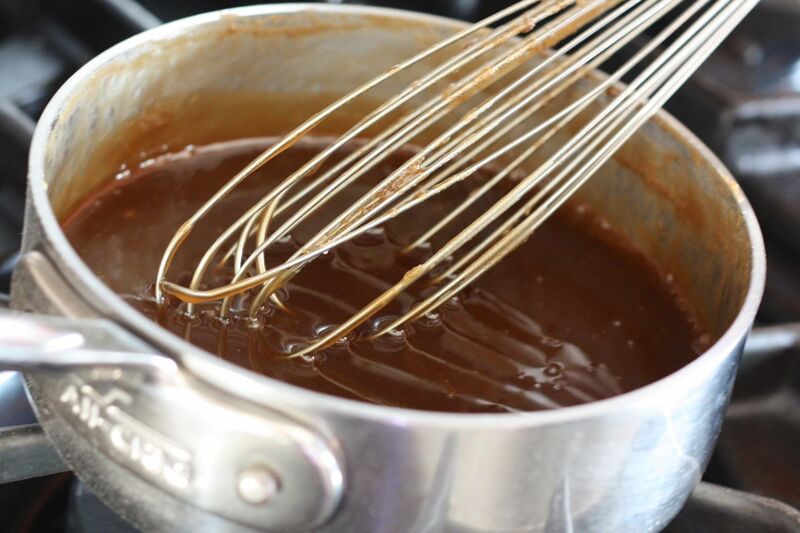 To reconstitute the glaze, place in a bowl of warm water and stir. Yes! It is heavy, though, so I’d recommend thinning it out for lighter cakes.